The Doorway dolly was designed with flexibility in in mind. The main platform is only 28" wide, making it able to fit into majority of doorways. If that is not wide enough you can expand the platform with the two included side boards for a total platform width of 48"! Plus with a massive800 lb max load the doorway dolly can support almost any camera package. 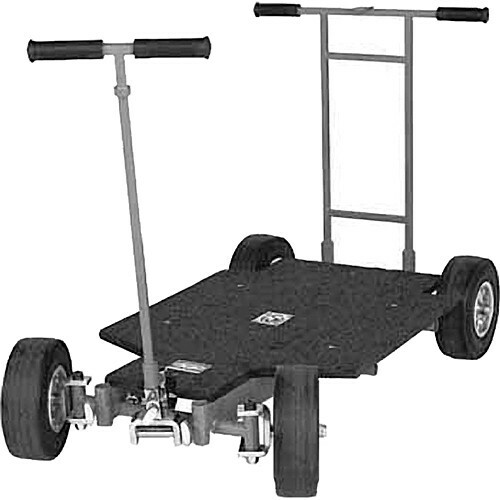 Whether you are on stage, at location, or outside the Doorway Dolly is a great trackless fit for any production!